Summary: A new study reports the ability to modulate brain activity when it comes to shutting off processes irrelevant to a task may be compromised in older people. Younger people efficiently engage brain processes necessary to perform a task, while at the same time “shut down” processes irrelevant to the task, according to new research from the Center for Vital Longevity (CVL) at UT Dallas. In addition, this ability to modulate, or control, brain activity appears compromised in older adults, said Dr. Kristen Kennedy, assistant professor at the center and the School of Behavioral and Brain Sciences. “To use a car analogy, the ‘neuroflexibility’ involved in pressing on the gas to meet a cognitive task, while simultaneously tapping on the brakes on anything that doesn’t help you get to the finish line of a task at hand, is one of the neural phenomena we’ve singled out,” said Kennedy, who led the research published in the February issue of NeuroImage. By tracking the patterns of “neuroflexibility” and how more flexibility generally correlates with better cognitive performance, and vice versa, researchers may one day be able to develop a more precise diagnostic criterion for determining which middle-age adults may be at risk of cognitive decline later in life. The CVL findings were based on a study of 161 healthy adults ages 20 to 94 from the Dallas-Fort Worth area. Participants were given a battery of neuropsychological tests before they were placed in a functional magnetic resonance imaging (fMRI) scanner, which measures brain activity. While in the scanner, participants were then asked to perform a simple spatial distance judgment task that involved discerning whether a dot was to the left or right of a horizontal bar. A second task involved dots that were either very far from the horizontal line or increasingly near or far, representing various levels of difficulty. Upon scanning, the researchers found that activation in one set of regions in the young adult brains, as measured by blood oxygen levels there, increased with task difficulty. Young adults who engaged in more difficult tasks tended to display increased activity in the fronto-parietal regions of the brain and decreased activity in regions more often associated with daydreaming. “The flexibility for healthy brains to ramp up in support of a goal, while suppressing activity in areas of the brain that generally do not serve a given task, may separate those whose brain function is aging well from those who may be prone to cognitive loss later in life,” Kennedy said. By tracking the patterns of “neuroflexibility” and how more flexibility generally correlates with better cognitive performance, and vice versa, researchers may one day be able to develop a more precise diagnostic criterion for determining which middle-age adults may be at risk of cognitive decline later in life. NeuroscienceNews.com image is for illustrative purposes only. The research team found that a reduced ability to modulate activity was predictive of poorer performance on the fMRI task. Older adults tended to “over-recruit” in the right fronto-parietal network regions of the brain in order to perform at a similar level as young adults. Although functional differences were evident as early as middle age — around 35 years old — behavioral changes might not be observed until much later in life, Kennedy said, suggesting there is a delay between changes in how an aging brain rises to meet the demands of a task, and any detectable decline in performance. “The mechanisms and timing of how and when these changes translate to observable changes in task performance across the lifespan definitely merits further study,” she said. In addition to Kennedy, the study’s authors were Dr. Karen Rodrigue, assistant professor; Dr. Jenny Rieck MS’12, PhD’15, a former CVL researcher in Kennedy’s and Rodrigue’s labs; and graduate student Maria Boylan. Funding: The research was funded by two National Institutes of Health (R00) Career/Research Transition Awards from the National Institute on Aging. UT Dallas “Identifying the Neural Signature of Healthy Brain Aging.” NeuroscienceNews. NeuroscienceNews, 4 March 2017. 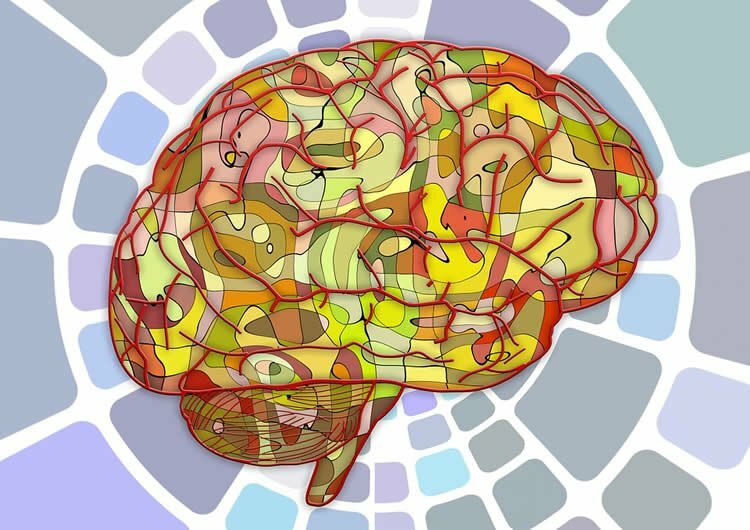 UT Dallas “Identifying the Neural Signature of Healthy Brain Aging.” http://neurosciencenews.com/healthy-brain-aging-6213/ (accessed March 4, 2017). Aging is associated with reduced resources needed to perform difficult cognitive tasks, but the neural underpinnings are not well understood, especially as there is scant evidence linking functional brain differences to aging cognition. Therefore, the current study examined modulation of fMRI activation from easier to harder spatial distance judgments across a large lifespan sample (N=161; ages 20–94) to identify when in the lifespan modulation to difficulty begins to show deficits and if age-related modulation predicts cognition. Analyses revealed two sets of regions in which modulation increased with difficulty due to either more activation (positive modulation) or more deactivation (negative modulation) to difficulty. These two networks evidenced differential aging trajectories: a right-lateralized fronto-parietal network that decreased in modulation to difficulty between middle- and older-age, and a network of regions in ventromedial prefrontal cortex, posterior cingulate, left angular and middle frontal gyri that showed decreased modulation at the transition from younger to middle-age. Critically, older adults who maintained negative modulation to difficulty showed higher task accuracy. Further, individuals who showed greater coupling between positive and negative modulation performed better on a fluid reasoning task. Age-related preservation of coupled modulation in both cognitive control regions and regions typically associated with default network may be a salient marker of how the brain adapts to maintain cognitive function as we age.